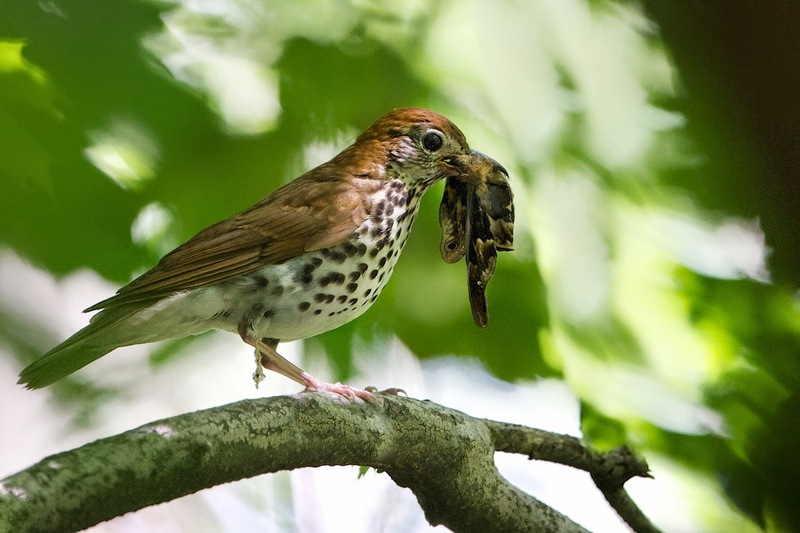 Back in the U.S.A.: Is That a Snake in the Mouth of a Wood Thrush?? If you look closely (click on the wood thrush), it sure looks like a snake, but really it's more like a giant moth. Either way, it's a wild world out there Master Jack.